A throwback to the best of the 90's, the Sara Twist Knit Cardi features drape and twist detail at the front, a scoop neck, long sleeves and a crossover curved front hem. 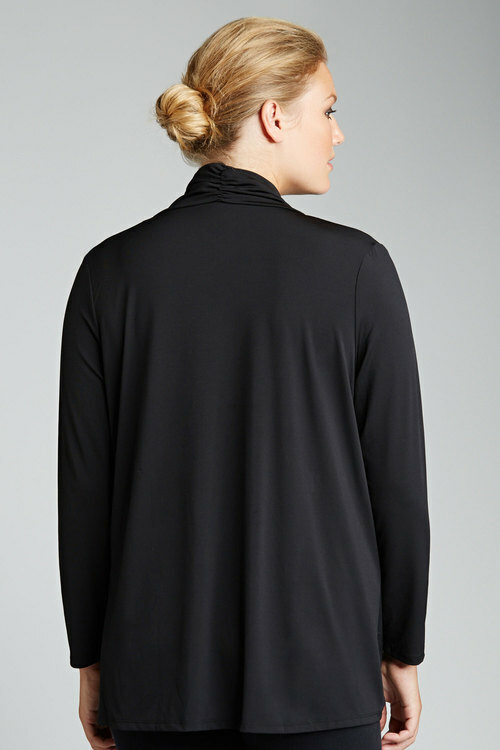 Pair this loose layer with pencil skirts or tapered trousers for a slouchy meets structured silhouette. Measures 75cms from back neck to hem.